EIFS Coverage is a very complicated insurance issue now. Whether you are a contractor for multi-family or commercial, we have a plan that will fit your needs. Put our 40 plus years of experience to work for your firm, we will find the perfect match of coverage, service and pricing to meet your EIFS insurance needs. 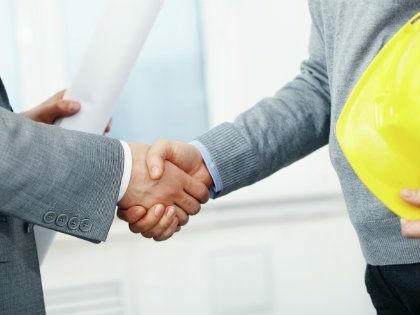 The combined experience of our agents, industry partners, and construction insurance expertise, is unsurpassed in the industry. We want to hear how we can help you. For over 40 years we have been linking the nations leading construction insurance carriers with contractors throughout the country. We have the expertise to handle all you insurance and bonding needs. Our licensed agents also have a background in the EIFS industry. This combination will help us prepare the best programs for you. Our staff is well trained and knowledgeable of all your certificate needs. A fax, email, or phone call will have certificates to you in minutes. We handle all types of accounts from commercial applicators to residential repair. We can combine your general liability along with your EIFS coverage saving you the redundant costs. Various state coverage as your needs may dictate. These days more and more general contractors and property managers are requiring increasingly higher limits of coverage. With our companies we are able to place limits up to $10,000,000 meeting the needs of the toughest GC’s. We write pick up trucks to tractor trailer rigs. No policy to small or large we handle them all.